Well this news came as a complete surprise to us, as once again The Oliver Twins has found a game in their rather large and mysterious attic, Dreamworld Pogie. Now many of you may remember Wonderland Dizzy being found as a source code and graphics on a once long lost floppy disk, that needed a ton of work to get it to a final state. But I bet you haven't heard of Dreamworld Pogie! 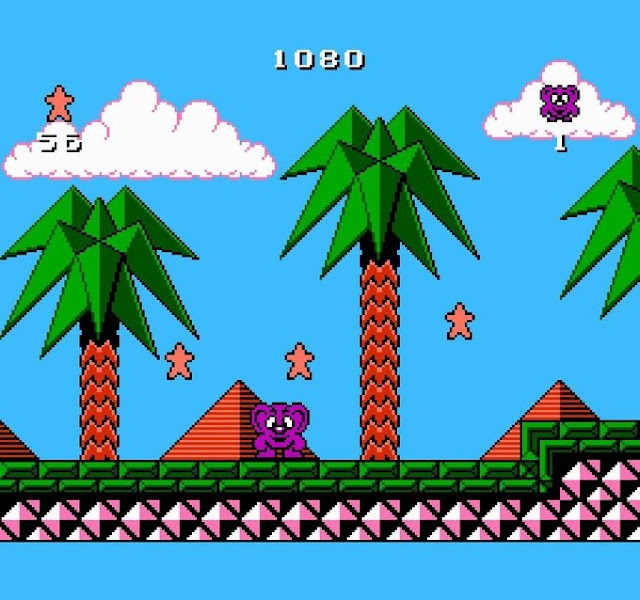 That's because this lovable looking arcade platformer was going to be another side step away from the Dizzy franchise and was due to be released on the NES, but sadly never happened at least until now. Thanks to Andrew Joseph and Lukasz Kur however, you can now play this game either online or support the Kickstarter as a faithfully boxed and packaged with a NES cartridge, poster and instruction booklet just like it would have been in the early 90s. All this requires of you is to push it to a very low £6,000 kickstarter success, but if you pledge £65 or more as a perk, not only do you get everything listed above, but also The Story of the Oliver Twins by RetroFusion(Chris Wilkins) which is the best book by far detailing the history of the Oliver Twins and a deeper story about Dreamworld Pogie. So get backing on the Kickstarter page here, or give the game a go online here!